At the outskirts of the Golden-Land, things were not as good as they were towards the centre of the region. Beyond the treeline was a blackened wasteland, brought to ruin by the meteor that struck four years ago. As a result, there were not as many large herbivores, only the herds of Edmontosaurus and Triceratops. With fewer herbivores, there were no obvious large carnivores, only the small Dakotaraptors and Archeroraptors. However, that would change. A young Triceratops was casually grazing, dangerously straying from the herd. Suddenly, a massive carnivore charged at her. Although large and muscular, he was bone-thin and his ribs were showing, having not eaten in a while. The Trike could not respond as his massive jaws, propelled by powerful neck muscles, snapped shut around her throat, and broke it under the force of 21,000 pounds. Satisfied with having a good meal, the beast, identified as a Tyrannosaurus rex, ripped into the carcass, tearing out large hunks of flesh and meat. Food was hard to come by at the edge of the Golden-Land, and his intelligent brain knew he would have to move more inland. This particular rex had quite the reputation, having slaughtered many herbivores in the past three months. He was dubbed "The Vengeful Rex" by those who watched him mercilessly crush the throats of hadrosaurs and ceratopsids. The tyrant had no care for them, and he continued his trek. As you moved closer to the centre of the Golden-Land, vegetation and herbivores were increasingly more abundant. The Vengeful Rex snorted as his mere appearance scared away smaller herbivores and Dromaeosaurids. He did not wish to fight them, although he killed the occasional Archeroraptor or Dakotaraptor that got too close. The feathers on the beast's head were white, and his neck was covered in a thick coat of downy brown feathers, the equivalent of a lion's main. The feathers on his back and torso were a lighter shade of brown, but at the edge of his feather covering, they were white. He had grown quickly for his species, and, at three and a quarter years of age, he was already fifty feet long and sixteen feet tall, gargantuan even by Tyrannosaurus standards. The rex was now hiking through a forest, akin to the modern-day Everglades. His feet sloshed through the waters of the shallow streams, and the Deinosuchus ignored him, as he had no intention of staying here, for he was a nomadic rex. The tyrant passed through a large plain, hearing the roars of his own species in the distance, along with that of the largest herbivore in the area; Alamosaurus. He merely ignored the sounds of the beasts, focused on other priorities, such as the setting sun. The rex settled in an outcropping, hinging his massive legs next to his torso. He rested his tiny arms on the ground, before laying his skull down, and closing his sapphire eyes. The next morning, he woke up to the sounds of a sauropod's bellows, along with the animal's footsteps shaking the ground. A juvenile Alamosaurus staggered past him, his pursuers not far behind. The rex we have been following, never one to pass up a meal, stood up, stretching his legs as he ran off after the sauropod. At shoulder-height, the juvenile Alamo was the same height as his attacker, who flanked him. The sauropod was covered in tooth and bite-marks, from the day before. However, his attacker had no mercy, as he opened his massive mouth and clamped onto the back of the beast, sending it tumbling to the ground. They were on a slope, and he stomped upon the skull of the large animal, ending his life. Almost immediately, the T.rex ripped into the now dead creature's flesh, swallowing a 500-pound hunk of meat. Then, he heard the footsteps of three Tyrannosaurus approaching him, and roared at them. They were siblings, the three who lost their parents to the Hypo Rex. There was one male, and one female, led by an alpha-female, who snorted at our rex, an alpha-male. She looked to the corpse, then to him, realising that he had killed the animal they had been pursuing. It was a stand-off, as the alpha-female's two siblings bellowed at the nomadic rex, who merely stared into the alpha's emerald-green eyes, as she returned his gaze. The Vengeful Rex did not appear to be defending the carcass, as he simply stood behind it, practically screaming for the three to take a bite. However, the alpha-female was cautious, for she had heard of this beast, who apparently was not one to share meals. After a few minutes, the nomadic tyrant tore into the carcass, dropping a piece of meat in front of the female. This alone told her that the nomad meant no harm, and she told her siblings they could eat. The alpha's sister was coloured charcoal gray and black, with piercing yellow eyes. She was forty-two feet long and fourteen feet tall, an average-sized rex. The seven-tonne beast cooed to the nomad, revealing her name as Tyra. Her brother, was covered in both black and white feathers, and possessed bluish-gray eyes. His name was Tyrus, and he was forty-four feet long and fifteen feet tall, slightly above average for a rex. Tyrus weighed eight tonnes, making him rival even the largest Carcharodontosaurus. The alpha-female, was forty-seven feet long and sixteen feet tall, and cooed her name to the lone rex as she swallowed the piece of meat, Tyrannas. She shared the same colour scheme as him, only she didn't have a feathery mane like him, and her eyes, as stated before, were a jade-green. The alpha-rex was nine tonnes in weight, exceeded only by Tyrance and Thunderstorm's lineage. 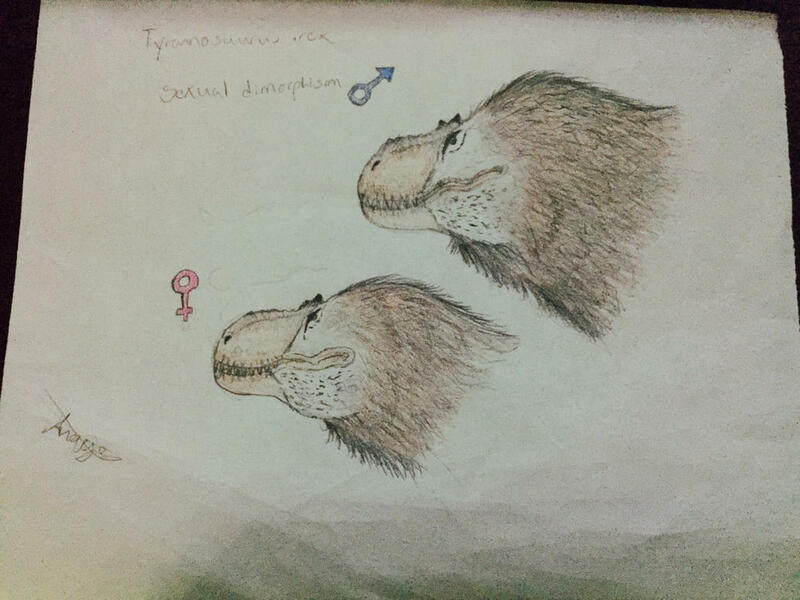 Tyrannas chirped inquisitively to the other Tyrannosaur, asking what his name was. His throat-pouch vibrated visibly, as he chirped his name, Tyrannos. The two began to nudge and neck-hug, as Tyrus and Tyra continued to eat. The two alphas filled their stomachs, and leaned down next to the carcass to rest. Tyrannos was staring at the mountain Trinity Peaks, as Tyrannas looked at him. She could tell something was on his mind, and chirped, asking what was wrong. Tyrannos looked at her and cooed, explaining that a mutant Tyrannosaurus, the Hypo Rex, had killed his parents, and taken his home. As a result, he had left. Tyrannas told him that she, too, had lost her parents to the monster, as well as the infantry, who now obeyed him. Tyrus and Tyra, upon hearing the mention of this, snarled, expressing that they wished to help bring down the beast. Tyrannos felt that, since his parents couldn't seal the deal against the Hypo, that he stood no chance, and he and his pack stayed away from the towering mountain. After three months, they began their journey to the Trinity Peaks. However, this was no easy trip, for even the Golden-Land was succumbing to the effects of the asteroid impact. Tyrus and Tyra whimpered in fear, staying close to their sister. Tyrannas and Tyrannos had nothing but determination in their eyes, as they strode forward, into a swamp. The Vengeful Rex remembered this particular swamp; he had been here when he was younger. Suddenly, a Deinosuchus lunged at them, feeling violated at four Tyrannosaurus passing through his territory. Tyra roared at the crocodile before clamping onto his jaw and stomping upon his skull. Tyrannas grabbed the croc by a forelimb and flipped it onto its back, and Tyrannos ripped out his throat, ending the life of their attacker. They had no time to eat, as they hiked through the swamp, before entering the eastern Golden-Land. The four rex picked up the scent of another predator, but not their own species. They hiked through a forest, as the chirping of birds filled their ears. 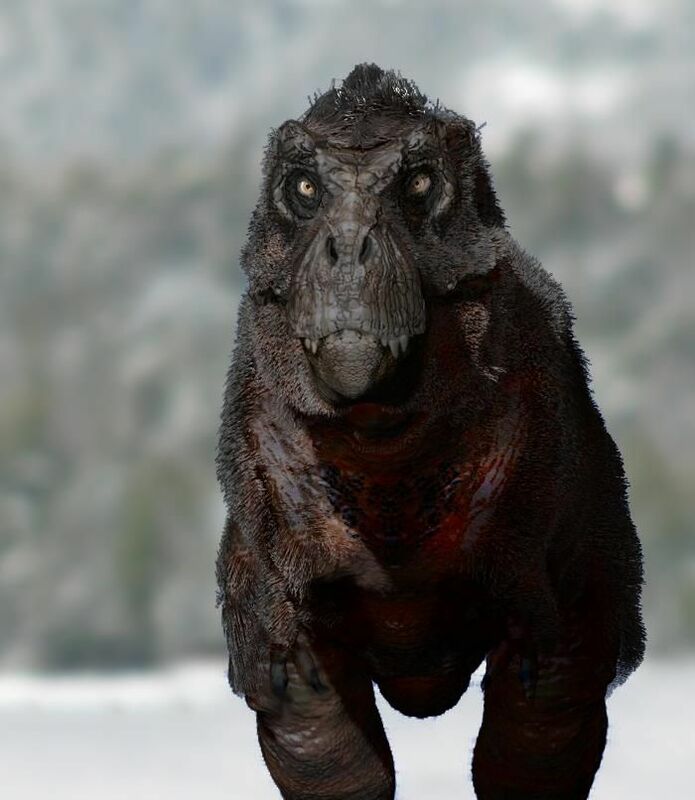 Tyrannos and Tyrannas led the latter's siblings through the forest, before looking at the foot of a hill, where four Mapusaurus were resting. Their alpha, Earth, hissed at the Tyrannosaurs, who, however, had no intention of fighting the beast. They casually passed by as the Mapusaurus watched them vanish into the treeline. Suddenly, the land was set ablaze, as the forest in which Tyrannos's pack was walking went up in flames. The four rex immediately began to sprint away from the fire, as it charred the land. Their olfactory bulbs picked up the scent reminiscient of that of Nequit Dominum, but they had no time to waste, as they left the forest and finally saw the towering Trinity Peaks--which overlooked the Golden-Land like an entity. This was the final part of their journey, the end was nigh. In the months of Tyrannos's absence, life had been Hell for Albus, Alba, Alborax, Cocoa, and Hurricane. They, along with the five rex, were forced to obey their mutant leader, who used them like slaves, having them go hunt while he stayed on the mountain all day. For the Albertosaurus family and Hurricane, they were more than ready for a change in a leader. And that day would come soon. The Hypo Rex's incredible sense of smell picked up the scent of two alpha-Tyrannosaurus, along with two subordinates. He summoned four rex to find and kill the intruders. Hurricane and Albus's family watched as four of the soldier rex trotted down the mountain, as the one remaining of the infantry stayed to watch them, hissing. At the foot of the towering mountain, Tyrannos was prepared to start scaling, but a bellowing hiss caught his attention, as four rex, all of them forty feet long and thirteen feet tall, approached them. Immediately, Tyrannos lunged for the rex closest to him, and clamped onto his skull, forcing him to moan in pain. Knowing they wouldn't make it out alive, the four infantry rex clambered up the mountain, their smaller size allowing them to reach the Hypo quickly. They hissed that four Tyrannosaurs were at the foot of the mountain. The Hyperendocrin rex was alarmed, as he heard the sounds of four Tyrannosaurus smashing up the Trinity Peaks. He turned, to see Tyrannos and Tyrannas, followed by Fang, Tyrus, and Tyra, roaring at him. The fire of Maledictus Dominum caused the mountain to go up in flames, as Hurricane, Albus, Alba, Alborax, and Cocoa rushed to Tyrannos's side. The Hypo summoned the infantry to his side, all five of them. Cocoa and Alborax lunged at one of the five infantry, nipping at his legs and belly with their teeth. Their smaller size allowed them to use hit-and-run tactics, but by some stroke of bad luck, the rex clamped down on Cocoa's shoulder. She yelped in pain, as her brother tried to rip her free, but to no avail. Suddenly, Tyra smashed into the rex like a runaway freight train, shattering the creature's ribs before she snapped his neck with a bite to the neck. Albus and Alba roared as they knocked down another of the infantry, who kicked the latter in the head, knocking her back. Angered at his mate being hurt, Albus bit down on his ankle, severing a major artery before he ripped open his neck with his toe-claws. The two alpha-Albertosaurus then brutally dismembered the Tyrannosaurus. Now, only three of the Hypo's footsoldiers remained. Tyrus and Tyra were like berserkers, ripping out pieces of flesh from the infantry, and occasionally biting down on their necks. Hurricane, Tyrannas, and Tyrannos made a straight path towards the Hypo Rex, who began to run up the mountain, followed by the three rex. They arrived at the cliffside, the summit. Tyrannos knew this place well, this was where his parents had met their end. 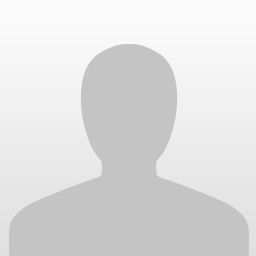 The Hyperendocrin bellowed, before being charged by the three who had lost family members to him. Hurricane bit down on his ankle, as Tyrannas clamped down on one of the Hypo's arms, before ripping it off. Tyrannos sank his teeth into the mutated monster's belly, going through the armour that was designed to protect him. He yanked his skull back, tearing off a hunk of flesh. Tyrannas and her mate were using hit-and-run tactics against the Hypo, who was not fast enough to catch the smaller beasts in his jaws. However, he did manage to knock over Tyrannas with a headbutt, but she bit down on his snout, forcing him to yell in pain. As she gripped his head, he swung it to the side, with Tyrannos's mate using the momentum to help her stand. Fueled by the loss of his parents and his insatiable rage, Tyrannos smashed his fangs into the hide of the Hypo Rex, slowly killing him through blood loss. However, he was no pushover, as he bit down on the Vengeful Rex's back, crushing four of his ribs. As this happened, Tyrannas headbutted the Hypo's jaw, forcing him to release. Shaking his head profusely, Tyrannos cooed the rex equivalent of saying "thank you" to his mate as blood streamed down his feathers. Hurricane charged in from behind, but the Hyperendocrin rex swung his tail into his skull, sending the brother of Thunderstorm toppling to the ground, seemingly dead. Tyrannos mourned the loss of yet another family member, as he and Tyrannas unleashed roars of anguish-filled fury, before slamming into the Hypo's side. Tyrannas pinned him down by standing on top of his side, and ripping his skin apart with her toe-talons and jaws, as Tyrannos headed for his neck. The Vengeful Rex stomped his left-foot into the shoulder of the Hyperendocrin, before closing his jaws around the soft skin of his neck. 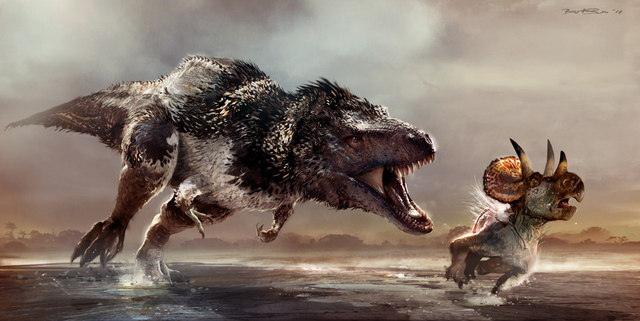 The Hypo Rex, without warning, snapped his jaws down on Tyrannos's leg, releasing a scream of pain from him. He merely tightened his grip, as the souls of Earthquake and Thunderstorm further powered his clamp, shooting it up, from 21,000--to 35,000 pounds of pure, unbridled, unrelenting, merciless fury. He tore out the windpipe of the Hyperendocrin Tyrannosaurus rex, leaving a gaping hole in the dead beast's neck. Tyrannos panted heavily as blood gushed down his torso and right-leg, before sending Tyrannas down to the others. Flames surrounded the three rex, the Hypo, Hurricane, and the Vengeful Rex, who stared sternly into the dark sky. Suddenly, he felt a sharp pain in his right-leg. Bellowing in agony, he looked down, to see Hurricane biting down on his shin. Kicking his uncle off of him, he hissed at his attacker, asking what he was doing. Hurricane growled, explaining that he grew jealous of Thunderstorm, and, knowing that he could not take him in a fight, had waited for the Hypo Rex to kill him. He then used Tyrannos to end the Hypo, so that he could assume the throne. His plan had succeeded, and there was only one thing left to do--kill Tyrannos. Tyrannos had enough, and smashed his skull into Hurricane's ribs, before stomping his left-foot upon his flank, putting as much pressure as possible, before grabbing his neck and throwing him aside. He did not want to kill his uncle, and growled towards him, telling him to leave. Thunderstorm's brother cooed, saying that he would desist his plan, and headed towards the slope which led down the mountain. However, just before he would have walked down the path, he twirled and swung his tail into a pile of heated ash, sending it into Tyrannos's face. He screamed in pain, shaking the ashes off before being ferociously bitten by his uncle. Hurricane attempted to snap his neck, but his mane of feathers somewhat protected him. However, he still bled, before his uncle scraped his teeth against his skull, leaving a deep scar. Tyrannos and Hurricane circled each other, as it felt like the spirits of Earthquake and Thunderstorm watched on. Part 5 up! And I conveniently found accurate images of Tyrus, Tyra, and Tyrannas. I don't, really consider Egypt having a son as canon...Great chapter though still. ^It was Shiro's idea. I mean, Fang was in the Isla Nublar series, but I can remove it. Removed the part with Fang. Part 6 up! Final battle will be a separate topic. You didn't have to remove it, I appreciate it though. Chapter 6 was really tight. ^Your reaction to Hurricane's betrayal? Getting so many Tyrants vibes from this!